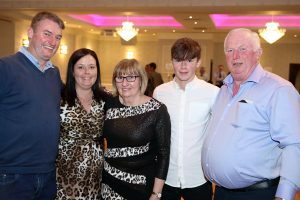 Friday 19th October saw 60 members of the NIHBA including their family’s celebrate at the Valley Hotel in Fivemiletown for the Awards Evening to recognise the the Herds who have excelled over the showing year. 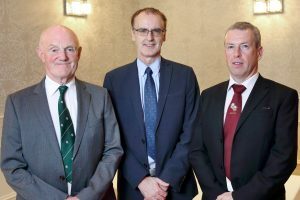 Guest speaker on the evening was Farm Weeks Editor Robert Irwin who looked back over the last ten years and what was behind the headlines in the farming world and also covered some of the prize winners from a decade ago. 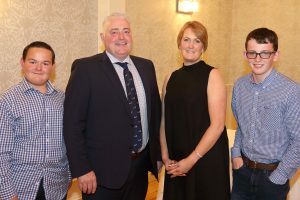 A thank you must go to the sponsors United Feeds and Dunbia who continue to support the NIHBA and make such events possible. 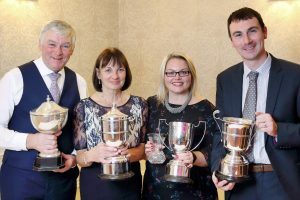 The awards throughout the year have been dominated by James Graham and family with his Richmount Herd. 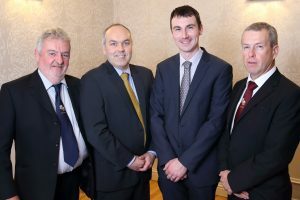 On the show circuit he gained the most points with numerous wins at agricultural shows province wide and the National Show held in Omagh. 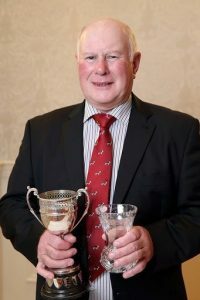 He also picked up Bull of the year and Polled bull with Richmount 1 Peppermint but to name a few. This young bull has bagged James his fourth bull of the year for the Richmount Herd and is off to pastures new as a stock bull. 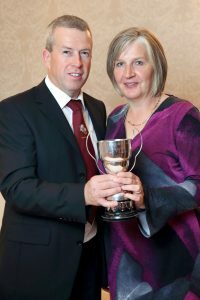 Other special mentions must go to John Conlon who took the award for overall Herd of the year and also managed to take reserve in the U.K. Female of the year and Polled female went to Bertie and Greer Watson with Gerry and Ethan Small taking reserve. 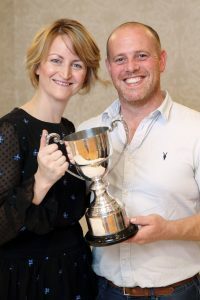 Mervin Richmond secured both wins in the Horned and reserve horned female of the year with a joint tie for Glenn Morton and Eamon McCorry taking the Horned Bull of the year. 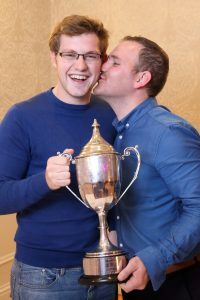 After such a good year Ethan and Gerry Small lifted the Novice Award along with Ethan securing Young Handler of the year. 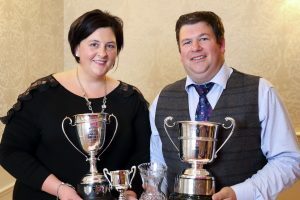 Sire of the year went to John & William Mcmordie’s Panmure Henry, a bull that continues to produce show quality stock and prize winners year on year.